Find a service time and venue that works well for your family and make plans to join us! Your favorite jeans or your Easter best are welcome at Grace Church. We’d love to have you, just as you are. Everybody’s welcome to come to Easter with us. Grace Kids is the place to be for our friends that are 6th grade and under! We are passionate about kids learning about Jesus on their level in simple, safe, and fun environments created just for them. 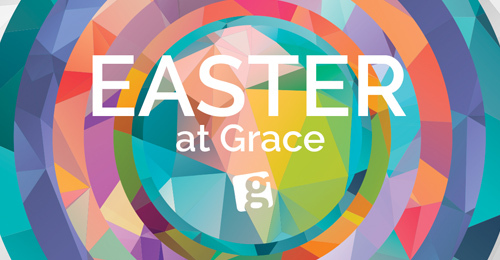 Grace Kids welcomes all kids through 6th grade to join in the fun at all Easter Services.